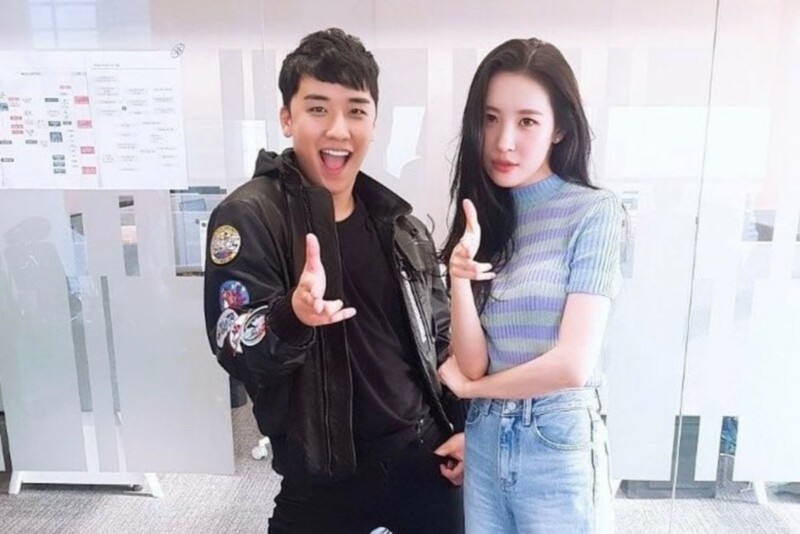 Big Bang's Seungri teased a possible collaboration with Sunmi. On March 30, Seungri shared the below photo of himself and Sunmi as they pointed their hands like guns from her choreography for "Gashina". He posted, "Seungri meeting Sunmi. Will our Seung-Mi collab happen... #gashina." The Big Bang member is also preparing a solo comeback soon, and fans are speculating Sunmi may be featuring in a track. #?? ? #?? ? ?? @miyayeah ??? ?????? #?? ? ?? ????.... #?? ?